This entry was posted in PELANGA RECORDS! and tagged Jose "El Kid" Reynaga, Oaklandia by Papicultor. Bookmark the permalink. My farther was the Bass guitarist for Fuerza back in the 80″s with Jose and I sang all the songs at Melrose School. 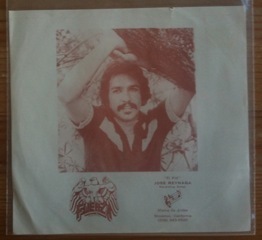 It was so much fun with my Dad and Jose making Records for Fuerza in the 80’s. Once I got to sing live with Linda Ronstadt. And we always herd other bands playing at Freeway Recording which was on E14th. Plus across the street from us was Pete Escavido and his famous daughter Sheila E oh gawd I was in love with her even though I was only 10yrs old.